First day walking in Berlin, looking for a bike shop, and finally finding one nice white in a Kreuzberg shop with a frog as emblem, looking for british people to get the joke. 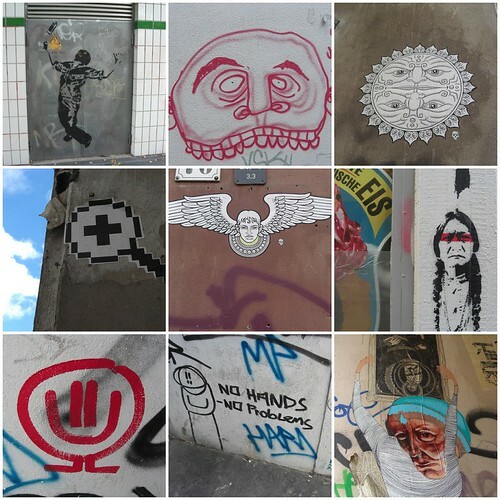 Modern street art is the product of a generation tired of growing up with a relentless barrage of logos and images being thrown at their head every day, and much of it is an attempt to pick up these visual rocks and throw them back. Societyâ€™s headlong march into bland conformity should not necessarily be welcomed with such openarms.